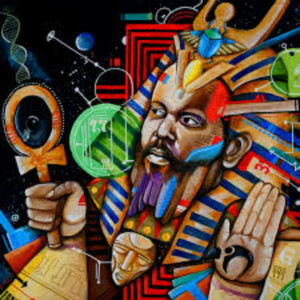 After amassing a sizable discography of 7″s, EPs and digital releases on a host of platforms, Ras G & The Alkebulan Space Program are Back On The Planet for their most complete demonstration to date. The countless nights at SpaceBase behind the MPC and SP-303 have seen _G come fully into his own. On this project past experiments in chest-rattling bass, terse loops and bugged-out field noise come full circle. Ancient Afrikan poly-drum rhythms meet outer-synth splashes of white noise and intuitive experimentation meld with deep sub-harmonics for an otherworldly experience on this 2XLP for Brainfeeder.